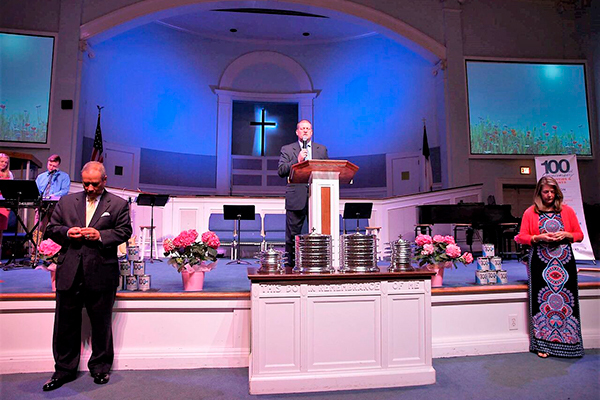 Dynamic visuals and sound help to keep congregations engaged as they worship. Inter Technologies provides customized live sound, recording, and video display solutions that help faith communities connect with the intended message and with each other. We also design portable AV solutions for events that are held outside of the sanctuary in fellowship halls or classrooms. Let us help you design a sound and video system that facilitates your message. Inter Technologies Corporation (ITC) provides expert audio-visual integration services nationwide with strategic support centers in the District of Columbia, Arizona, Georgia, Indiana, North Carolina, Virginia, West Virginia and Wyoming. Our adaptable structure enables us to complete and provide follow-on support for large-scale installations throughout the United States, Canada, and Mexico. Copyright 2018 | Inter Technologies Corporation (ITC) | All Rights Reserved.